Note: This is an early preview of our Summer Learning Loss Campaign – On July 14th all the details will be updated here. The education community has recently come to understand the true value of game-based learning and games are being regularly integrated into curricula. Currently, half of all K-12 teachers are using games in their classrooms in a meaningful way. These educators recognize the value of games in their students’ learning experiences and the potential of using the data collected by digital games to improve students’ learning and create personalized learning environments. Teachers are finding that games are effective in improving executive function skills, 21st century skills, technology skills, Literacy and Math skills, and more. Unfortunately, those most in need of our products are often least able to use them. Teachers report that digital games help low-performing students catch up and motivate them to learn more. Digital games not only improve student performance, but positively impact student behavior and attendance. But the digital divide remains, making it a challenge for the students who could benefit the most from game-based learning to gain access to digital learning products. At Dig-It! Games®, we recognize this challenge and are working to help close the achievement gap. We have spent the past several months rebuilding our infrastructure to provide access to our products from any device on any platform. This device-agnostic approach meets kids where they are: on their phones and other mobile devices. Although bandwidth and data access remain a problem for many students in America, we are happy to be taking steps in the right direction. Our games are also now available on Chromebooks, a more affordable option for schools and parents both. But we can do more. Every summer, low-income students lose 2-3 months of academic skills compared to their higher-income peers. These gaps in math, reading and other skills add up: by 5th grade, students can be as much as 3 years behind! Summer Learning Loss is real, and affects low-income students disproportionately. Dig-It! 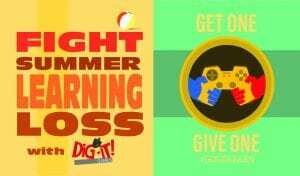 Games is joining a national movement to eradicate Summer Learning Loss. Led by the National Summer Learning Association, partners around the country are hosting Summer Learning Day events on July 14, 2016 to raise awareness for this vital educational initiative. To learn more about Summer Learning Day or to find an event near you, visit http://www.summerlearning.org/summer-learning-day/. Dig-It! Games will be hosting an event to raise awareness in our community. We hope you will join us at on July 14, 2016 at Veterans Park in Bethesda. It’s a great start, but we believe we can do even more. Games are a perfect tool to prevent Summer Learning Loss and keep kids engaged in learning throughout the summer months. Games build content knowledge, problem solving skills, critical thinking skills, and so much more. Plus, they’re just fun! 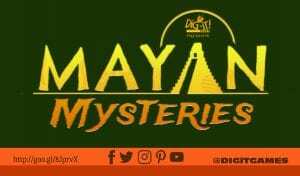 Who doesn’t want to be an archaeologist, or search through Maya pyramids or explore space in an engaging game? However, we realize that the students who are most affected by Summer Learning Loss can’t afford these fun experiences. So we are proud to announce our new “Get One, Give One” initiative. Through “Get One, Give One,” for every game purchased or downloaded this summer we will give a game to a low-income student. Download a Dig-It! 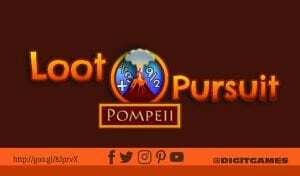 game from the iOS App Store or download or buy a game on our website and we will donate a game to one of our partner organizations to distribute to a child in need. Any game. Free or paid. Big or small. 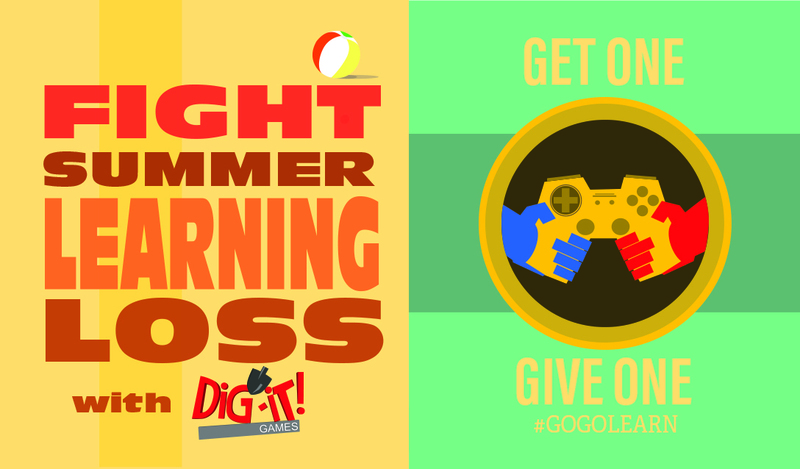 We’re serious about fighting Summer Learning Loss, but we need your help. If you are or know an organization that can benefit from this campaign you can submit an application here. 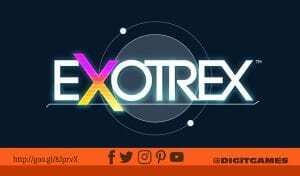 As an added incentive, the initial donated game will be our brand new science game ExoTrex™, which with a pre-release retail price of $5.99. So, buy ExoTrex™ for yourself and know that a child is receiving access to a high-quality science game they couldn’t otherwise afford. 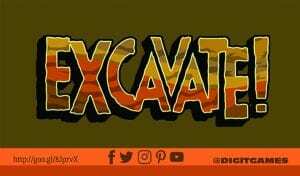 Or play Excavate!™ for free and that child will still get ExoTrex™ to improve his/her chemistry skills before school starts back up in the fall. The more you Get, the more we Give. So spend your summer building your vocabulary, exploring the Maya jungle and excavating artifacts! With 10 games to choose from (and more coming this summer), there’s something for everyone. Why not try them all? The kids suffering from Summer Learning Loss will thank you.